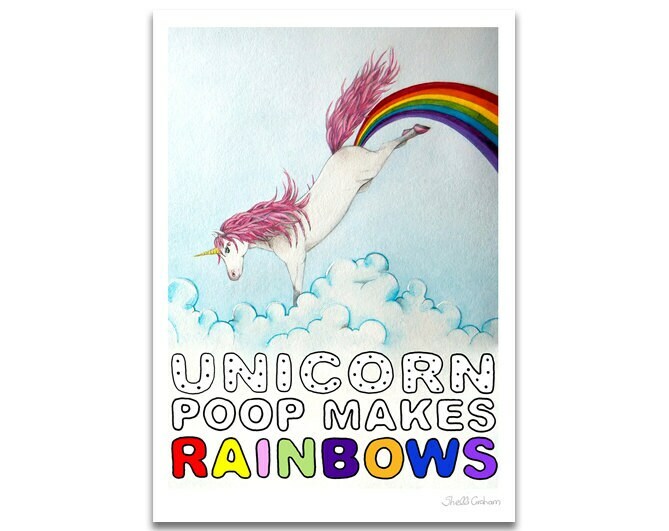 Unicorn Poop Makes Rainbows! Fact! The original illustration was created using watercolour and coloured pencils. 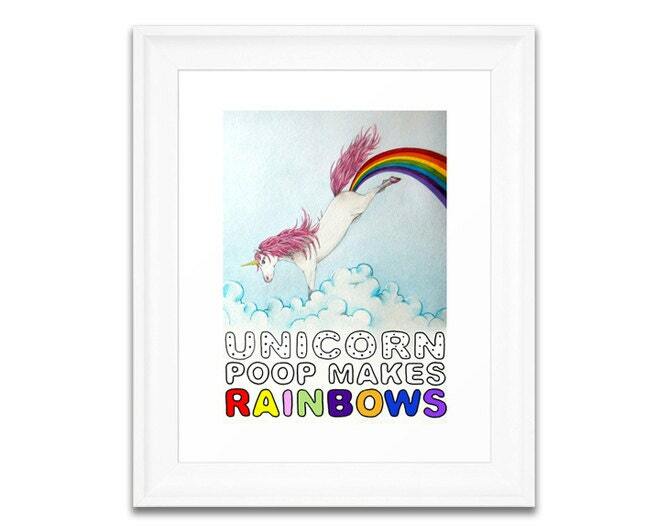 The image measures 29cm x 21cm with enough white space around the edges for framing. Each print is signed in pencil. 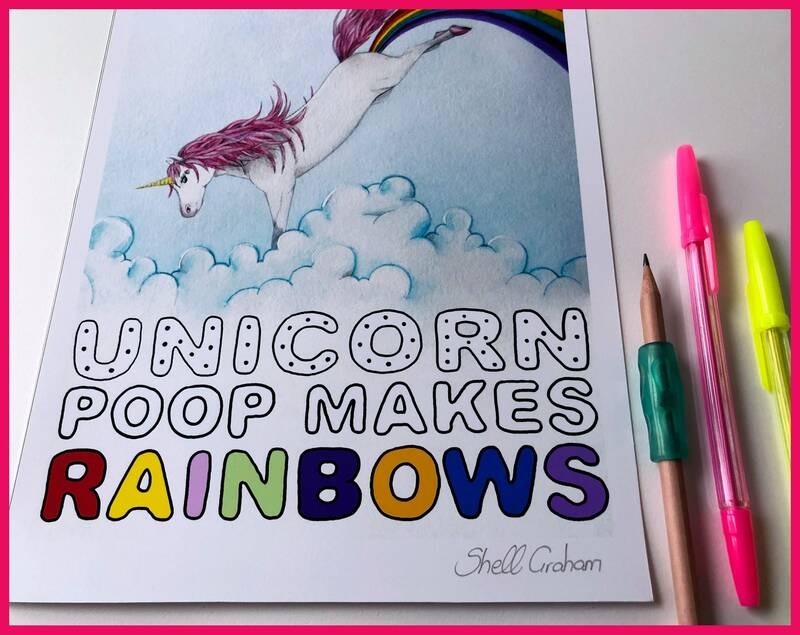 The Unicorn Poop Makes Rainbows! 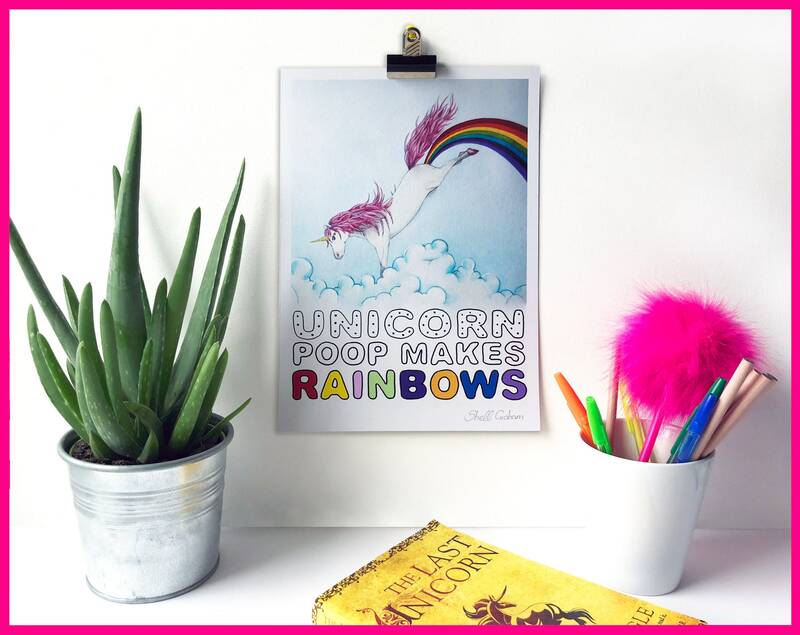 print is great for both adults and children - especially those who believe in unicorns!